When one hears of the word pig farm, what image first comes to mind? Most probably filth and rot, the characteristic mind-numbing waft of disintegrating excrement and decaying food. And one would not be far from the truth; every year, Vietnam’s 27 million pigs generate emissions equivalent to around 4.3 million tons of CO2, with strong smells and negative effects on human health. Not only that, just like carbon dioxide, methane, ammonia and hydrogen sulfide are greenhouse gases that also contribute to air pollution and global warming. Though data on the total impact of emissions from breeding is still unavailable, research conducted at specific municipals has yielded dire results: household-scale breeders generate 18 times more ammonia than permitted, while large commercial breeders generate 21 times more. What many do not know, is that these pernicious emissions could be used to generate electricity. 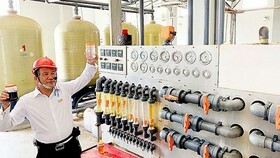 "Up to now, Vietnam has not had a comprehensive mechanism for supporting the development of renewable energy, aside from the subsidies for wind power and waste-generated electricity, approved in 2011 and 2014 respectively," Tran Van Khai, Vice Chairman of the Vietnam Biogas Association (VBA), wrote in a biogas energy report from 2014. "Biogas energy is an attractive investment, if we have appropriate policies for it. " Four years after his report was published, and Vietnam still has only five biomass plants, operating in Gia Lai, Phu Yen, An Giang and Tuyen Quang, with a total capacity of 205 MW. None of them utilizes animal excretion. Among these five, the An Khe, Gia Lai biomass power plant, which uses bagasse from An Khe sugar factory, is the most effective, according to GreenID, the coordinating agency for Vietnam Sustainable Energy Alliance. Tran Dinh Sinh, Deputy Director of GreenID, stated that the biomass power plant reserves 25MW of its generated electricity for internal uses and loads 85MW onto the national grid. Vietnam only uses about 40 percent of its biomass to generate energy, mostly in the form of heat, not electricity, despite the fact that the government-approved Electricity Master Plan VII aimed to produce 500MW of biomass electricity by 2020. "The policies were not coupled with real initiatives, so the pace of development has so far been disappointing, " Khai said. But before this issue is further examined, there are some clarifications that need to be made. What is biomass energy, and why is it considered a renewable source of electricity? 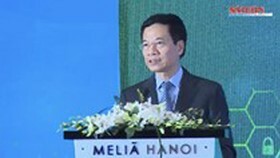 According to the BIOMASS Develop & Go Green, a handbook created by the Ministry of Industry and Trade (MOIT), Vietnam Energy Association (VEA) and the Vietnam Center for Energy Development (VESC), biomass is "organic matter derived from plants and created through photosynthesis [...] that can be considered as energy because of the solar power stored in the chemical bonds of organic matter "
The handbook went on to divide biomass into three categories: wood residues, including roots, bark, sawdust, and leftover construction wood; agricultural wastes such as straw, bagasse, post-harvest maize, cassava and rice husks; and finally, animal excretion. These products can be converted into energy using one of these four different methods - drying, compressing, heat treatment and anaerobic digestion - with the last two methods most commonly used in electricity production. According to Sinh, thermal treatment happens in plants that consist of “boilers, steam turbines and generators, much like coal-fired power plants." However, unlike coal, biomass-generated electricity is considered renewable because its ultimate source comes from the sun, and most biomass can be regrown in a relatively short amount of time. If appropriately operated, the whole system is also 100 percent carbon neutral. The sad reality is that organic waste that could have been used to generate electricity is now being burned in the open air, or indiscriminately dumped into canals. Just the 9,000 tons of solid waste per day in HCMC can generate about 1 billion KWH of electricity over the span of a year. Emissions from the ten leading Vietnamese pig breeding corporations are enough to produce 100MWH per year, but instead, they are being discharged into the sky. Not counting energy derivable from single-purpose energy plants, the total amount of energy stored in biomass waste in Vietnam is equivalent to 26.7 million tons of oil, enough to power 3 million households for ten years. 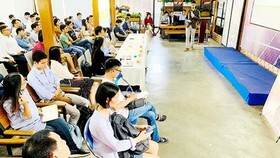 "The potential for generating electricity from waste is huge; we should make use of them to increase a land area’s economic efficiency, reduce environmental pollution, and create employment in rural provinces," Associate Professor Bui Xuan An, VBA’s spokesperson, said. 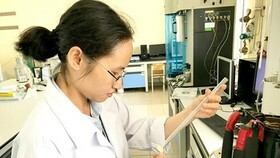 Contrary to popular belief, biomass technology, like many renewables, is not a new technology, having been developed and applied in Vietnam since the 1960s. However, most of it was used in small-scale family stoves to generate heat for cooking. Generating electricity has similarly been restricted in scale, as most projects are the products of ESCO-plant owner joint ventures, meant to supplement grid electricity for individual firms’ consumption only, not contribute to it. 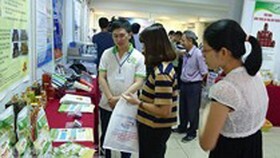 "Many livestock enterprises also [invest in biogas production] to meet their own internal needs," said Bui Xuan An. 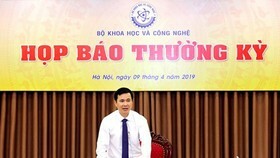 "But even when they produce more than their own demand, they cannot sell the surplus to anyone or connect it to the national grid because the State has very strict regulations about this.” Electricity of Vietnam (EVN), a state-owned enterprise, is the only company able to buy and distribute electricity. “EVN has not yet decided to purchase electricity from biogas; hence, millions of cubic meters of energy are simply released into the air,” An bemoaned. Under GreenID and WWF’s Optimal Sustainable Energy Development scenario, by 2050 Vietnam will be able to supply 100% of its electricity need using renewable energy, of which 10% will be biomass. "This scenario, however, does not take into account other issues such as lack of funding and legislative support," Sinh said. "We also did not account for the limitations of the national grid." MOIT’s Renewable Energy Development Project to 2030, with a vision to 2050, meanwhile, employs a much more modest figure of 43 percent. As of now, around 38 percent of Vietnam’s energy is being generated from renewables, mostly hydroelectricity; the rest of the country’s energy demands are met by coal-fired power plants. Experts concur that in order for Vietnam to meet its renewable energy objectives, major institutional changes need to be made to facilitate the transition. “I think the 2020 goals can be reached tight, the 2030 goals will heavily depend on an improvement of the frame conditions,” said Philip Thiemann, Senior Renewable Energy Advisor at the German Institute of Energy (GIZ) in Vietnam. In comparison with traditional fossil fuels, biomass electricity does require larger, more expensive storage, conversion and distribution systems. For an investment on this scale, the price of electricity set by the government is too low; biomass co-generation is currently bought at 5,8 US cents / KWH, while straw and rice husk products bring in 7,4 cents / KWH. "We do not yet have subsidies to promote biomass energy or adequate regulation within the legal framework; there is simply no support mechanisms at all,” Khai said. This is a major factor that drives away foreign investors. 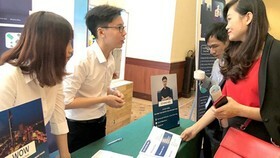 Doctor of Science Do Ngoc Quynh, a specialist at VBA, maintained that the reason behind this lull is the government’s lack of enthusiasm about biomass energy. To them, the high production costs renders the renewable source much less lucrative than coal, which is demonstrably cheaper when long-term environmental costs are not considered. "Policymakers do know about the harmful effects of coal-fired power stations, yet still decide to turn a blind eye to pursue their personal interests and those of lobbying groups, most notably the monopoly, EVN, " Quynh said. Professor An concurred, “Environmental scientists believe that this lack of support [...] does not stem from concerns about economic efficiency, much less so the environment and human health. It is firmly rooted in the benefits of groups associated coal technology and the 80-100 million tons of coal imported per year. " He used the case of solar energy development as an example. "The state decided to buy solar power (Decision 11 and Communique 16), but so far, MOIT has not decided on the tax rate for solar electricity, so investors do not feel secure enough to further develop their projects. Meanwhile, the decision and communique will expire in one year," explained An. "While all domestic and international analyses show that renewable energy development is sustainable for the environment, the economy and a society at large, our country focuses on the development of coal power. Why?" Currently, VBA and VSEA continue to seek for opportunities to cooperate with MOIT and influence government policy in these regards. External support and counseling has also been provided by other states, most notably the Netherlands, through the SNV project for small household biogas, and Germany, through the GIZ/MOIT advisory group. “We have been focusing on creating strong coordination and alignment with other donors, energy efficiency, and smart grids,” said Philip Thiemann from GIZ. 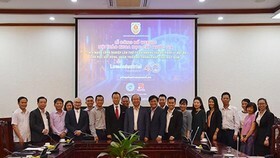 In order for the renewable energy market in Vietnam to become more attractive, it is imperative therefore that the government implements support mechanisms, including recognizing renewable energy project owners as “special investors” who can enjoy beneficial prices for land use, tax and loans, as well as receive high Feed in Tariffs (FiT). They should also be granted priority in terms of connecting to the national grid. More importantly, however, EVN’s monopoly-derived power needs to be weakened; if more companies can purchase electricity, the market will become more competitive, thus attracting investors. 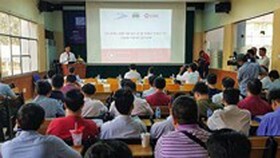 But institutionalized lobbying aside, An also emphasized the importance of multimedia channels introducing new technologies to the people, especially those in more rural areas where plant waste is generated. In order for Vietnam to become the regional leader in renewables and turn WWF and GreenID’s vision into reality, there must be more concentrated effort from within the country to change people's views. Professor Bui Xuan An concluded, "In order to change the situation, public awareness campaigns have to go hand in hand with legislative advocacy."